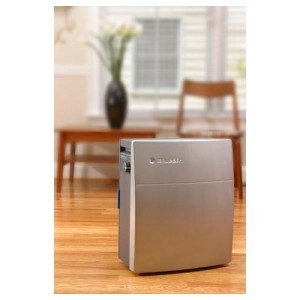 BlueAir | The Air Geeks, reviews of air conditioners, dehumidifiers and air purifiers. Blueair was founded by Bengt Rittri in 1996 in Stockholm, Sweden. Together with another expert, he designed and built the company’s first air purifier, Blueair purifier. Its first production facility was in Sweden. Today, Blueair has production facilities in different parts of the world. Similarly, Blueair’s market has expanded making it one of the companies with largest market shares. With strong presence in Asia, Europe, and North America, the company has penetrated virtually all parts of the world. Its products are available in most major stores as well as on popular online platforms such as Alibaba and JD. Blueair produces air purifying solutions that are suitable for capturing various airborne pollutants including pet dander, pollen, dust, mold spores, and smoke. The company innovates to provide its customers with the best-in-class air solutions. Most of its air purifiers are based on the patented HEPASilent technology. This highly effective technology uses a filter, a fan, and ionization to ensure that the air discharged to your room is free from airborne contaminants. Blueair products fall in the following main categories: Blueair classic, Blueair Pro, Blueair Sense, and Blueair Sense +. Regardless of how unique your air purification needs are, Blueair has a suitable solution for you. The Blueair 203 is undeniably one of the most popular Blueair’s product. This air purifier is based on the patented HEPA Silent technology and it is capable of removing a variety of airborne pollutants from the air. It is capable of capturing pet dander, dust mites, smoke particles, dust, and so on. In addition, this air cleaning solution circulates the air in a room up to five times in one hour. This ensures that every corner of your room has clean and fresh air. This air purifier is capable of capturing minute particles that are up to 0.3 microns. In addition, it is capable of removing a large percentage of airborne pollutants from the air that it releases into your room. According to the manufacturer, the Blueair 203 captures up to 99.97% of airborne contaminants. The Blueair 203 is recommended for spaces that are up to 240 square feet. It is also designed to run quietly and can therefore be used in bedrooms, offices, and other quiet spaces. Below you will find our reviews for the best air products by Blueair. Thank you for visiting the Air Geeks!